In a busy clinic, time is money. Let us do the work for you. 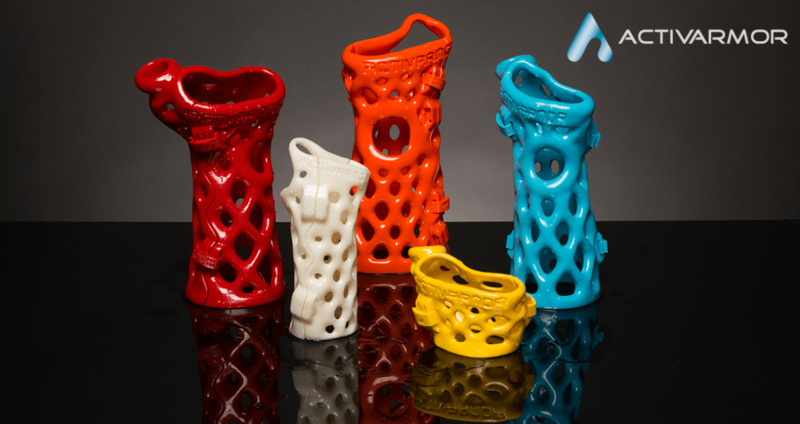 ActivArmor replaces labor and cost-intensive casting and splinting with a 30-second scan. We do all of the design, fabrication, and finishing work, so you can spend more time doing what you do best: providing top notch care for your patients. Multiply your patient throughput and billing opportunities while cutting labor and inventory costs by becoming an ActivArmor provider. Each device is hand-designed for your patient in less time than it takes to apply a cast – and all future casting and splinting work is eliminated throughout the patient’s healing phases when they use ActivArmor. No more cutting off casts and re-casting for every exam and x-ray. No more replacement of soggy casts. No more messy casting materials or clean-up. No more expensive inventory to maintain or store. No more overworked, harried staff or back-log of irritated patients waiting in the casting room. If you are interested in providing ActivArmor at your clinic, contact us today at www.ActivArmor.com for more information.